January 24, 2019 10:32 am. Group One winner Volpe Veloce returns to the scene of her biggest victory when she contests the Group 2 Westbury Classic (1200m) at Ellerslie on Saturday night. The five-year-old mare has won 10 races from 20 starts, including four at the Auckland track and most significantly the 2018 Group 1 Railway Stakes (1200m). The Graham Richardson and Gavin Parker-trained mare has pleased her connections since her fourth-placing behind Santa Monica when defending her Railway title at Ellerslie on New Year’s Day and confidence in the camp is high heading into the Group Two assignment. “I think she is well placed, 1400m especially with 58kgs on her back at set weights and penalties. She is only 3kgs above the minimum,” Richardson said. “Her work has been good and she has a good alley (barrier two) too so we are very happy with her. Michael Coleman galloped her on Tuesday and said she is pretty fit. 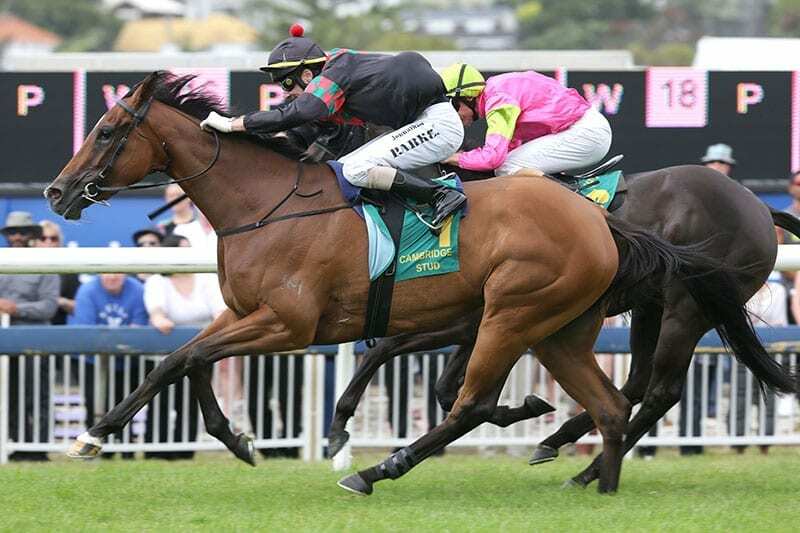 Richardson has fond memories of Karaka Million night, having tasted success in 2017 when Volpe Veloce took out the Listed Karaka 3YO Mile (1600m). “She won the Karaka 3YO mile a couple of years ago, it is as big of a thrill as you can get,” he said. If Volpe Veloce performs up to expectations on Saturday she will be set for another tilt at Group One glory in the BCD Sprint (1400m) at Te Rapa next month. Meanwhile, Richardson has another chance of gaining a black-type victory on Saturday when he lines-up Mahalo in the Group 3 Preferment @ Brighthill Farm Concorde Handicap (1200m). The six-year-old daughter of Darci Brahma was runner-up behind race rival Spring Heat over 1200m at Matamata last start and her connections are hoping she can turn the tables on Saturday. “She is a mare a couple of friends and myself own,” Richardson said. “We bought her at the sales and she has won three and should have been in the first three in the Newmarket last year.